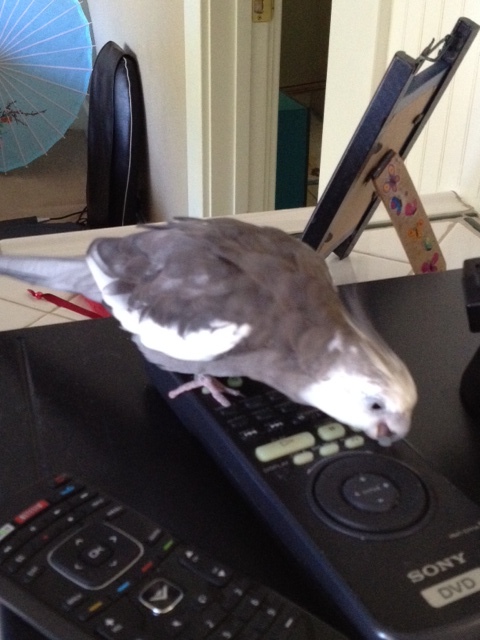 If Pearl had to choose a favorite electronic device, it would be my MacBook Pro, hands down. Recently, however, a new contender has risen to the challenge. 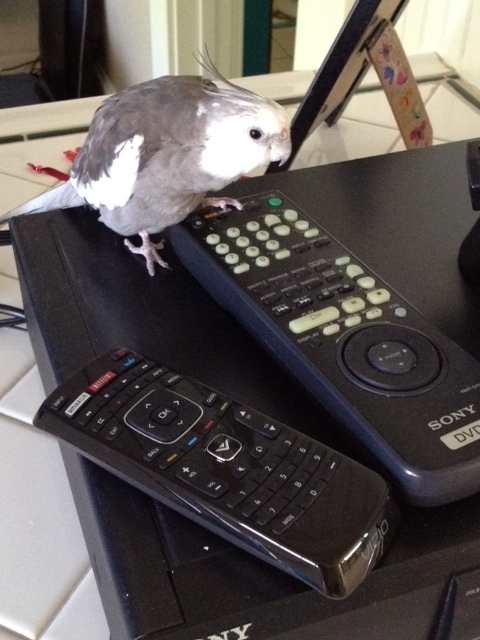 Which just offers more proof that in any species, the males simply MUST have command of the remote. Hmmm. I find this very interesting. That must mean it is mine. Yes. Clearly mine. Plus, I like the colors – although I would have gone for grey over black. And it has delicious springy keys. 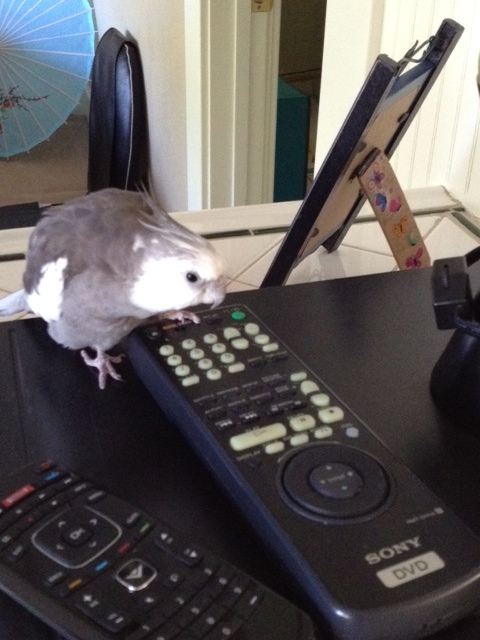 If I position my beak just so…. Very comfy for the feet too. 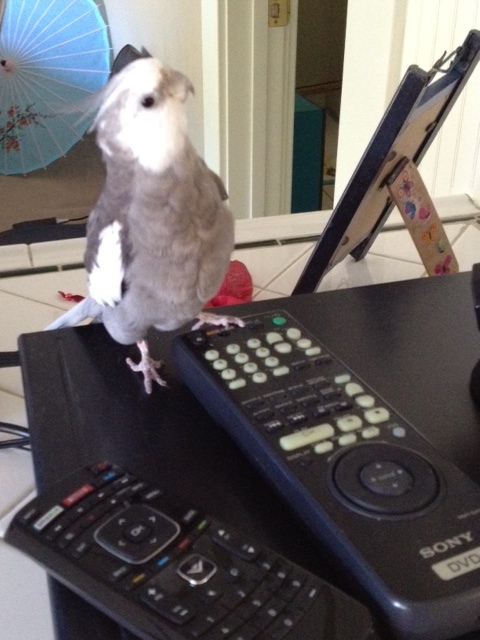 High end ergonomic, I’d say. Uh oh. A poacher approaches. 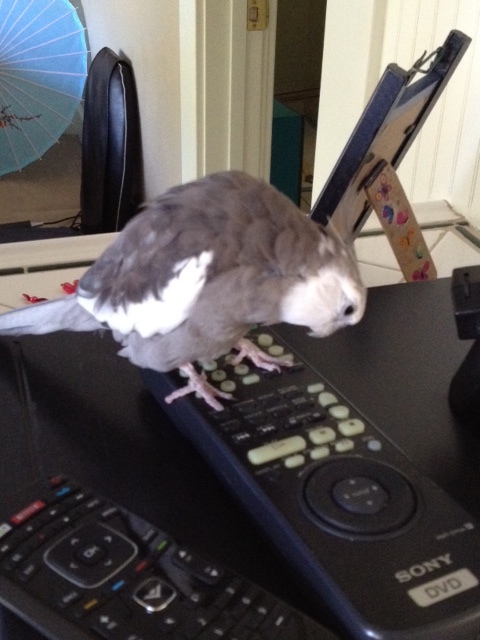 MY remote. All MINE.